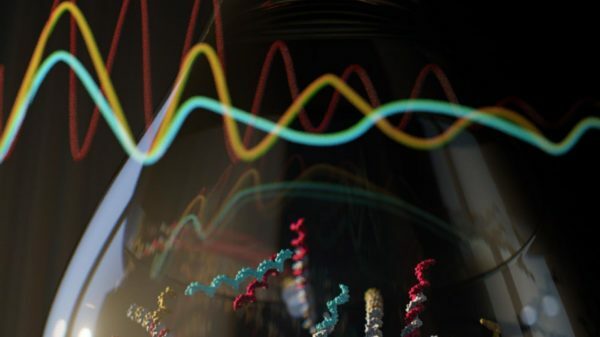 UT researchers successfully constructed a first-of-its-kind chemical oscillator that uses DNA components. AUSTIN, Texas — DNA molecules that follow specific instructions could offer more precise molecular control of synthetic chemical systems, a discovery that opens the door for engineers to create molecular machines with new and complex behaviors. Researchers have created chemical amplifiers and a chemical oscillator using a systematic method that has the potential to embed sophisticated circuit computation within molecular systems designed for applications in health care, advanced materials and nanotechnology.